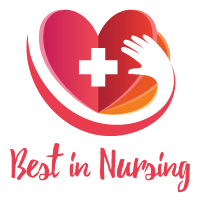 Caroline Abanukam, Staff Nurse/ Field Nurse at the Bayada Home Care Agency, has been recognized as a “Leader in Nursing” among “America’s Best Nurses” for 2017. She will be sharing her knowledge and expertise on Geriatrics. With over three years in the field, Caroline excels in her current role as a Staff Nurse/ Field Nurse at the Bayada Home Care Agency. Bayada Home Care Agency is a comprehensive home health agency composed of a team of therapists, nurses, home health aides and medical social workers to provide quality care to each patient. The agency offers services such as home health care, pediatrics, hospice, and habilitation care as well as staffing and primary care in over 300 locations including hospitals, long-term, rehabilitation and mental health facilities, schools, hospice, and senior living homes. 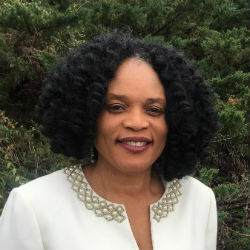 In her current capacity as a Staff Nurse/ Field Nurse at the Bayada Home Care Agency, Caroline’s day-to-day responsibilities include training Certified Nurse Assistants (CNA), and working with nurses, physicians, and coordinators on health assessments. Caroline prides herself in constantly promoting patient independence and consideration for individual personality. In 2015, Caroline earned her Master’s in Nursing specializing as a Family Nurse Practitioner from South University. To further develop her professional career, Caroline maintains a membership with the National Technical Honor Society and Sigma Theta Tau International Honor Society. Looking back, Caroline attributes her success to having a positive attitude and being at the right place at the right time. Her desire to pursue geriatrics developed after taking care of her grandmother at an early age. In her free time, Caroline enjoys reading spiritual books, volunteering at her church, and traveling. Considering the future, Caroline hopes to open her own business. The BAYADA Way is at the heart of everything we do. BAYADA Home Health Care has a special purpose—to help people have a safe home life with comfort, independence, and dignity. Our agency provides nursing, rehabilitative, therapeutic, hospice, and assistive care services to children, adults, and seniors worldwide. We care for our clients 24 hours a day, 7 days a week. Founder and President Mark Baiada wants to ensure that the company he began more than 40 years ago is never sold and that the company’s mission, vision, beliefs, and values (The BAYADA Way) continue to guide employee actions for the next 100 years and beyond. Over the next several years, Mark and the Baiada family are generously gifting the company to a newly created foundation that will become the majority owner of BAYADA—which will remain a private company. This plan to restructure BAYADA’s governance reflects the combined purpose of helping people live safely at home with comfort, independence, and dignity; protecting employees’ livelihoods; and promoting BAYADA’s vision of making the highest quality home health care available to everyone, worldwide. Sigma Theta Tau International Honor Society.